Barbecue grills are as American as John Wayne, eccentric muscle cars and, of course, American football. However, even when we have gladly stuck to tradition , just a few grill heads can actually grill like professionals.Just knowing the basics; such as lighting the grill,wearing a bbq apron,holding the spatula in one hand and tongs in the other is obviously not enough. Grilling with charcoal is undoubtedly the most pleasant summer pastime one can have with meat. 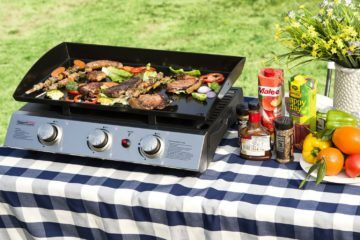 Although charcoal grills have what electric grills lack, it takes an experience griller to prepare tantalizing mouth watering food. If you have never grilled using charcoal, or have little know-how regarding how to cook flavorful, mouth-watering meats, then this post is for you. Sure we all agree that one needs a little bit more patience when cooking on a charcoal grill. 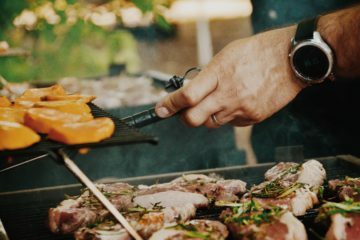 Both gas and electric grills have the advantage of lighting up much faster and being less messier,but obviously as we all know without the flavour that’s present in charcoal barbecues. Straight off, lighting the grill should always be the first thing,and start grilling when you are not feeling hungry ! 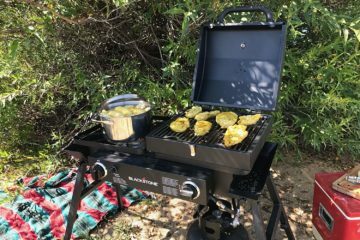 Smart grillers sometimes even light the charcoal grill in the morning, as charcoal grills take quite some time to heat up ,as a result of that hungry cooks get impatient and end up cooking and serving half-cooked food ! Pangs of hunger while grilling further heighten and so the urge to taste the steak, and that will automatically mean that use of spices, dry rubs and marinades will be forgotten altogether. So, it’s better to start grilling when you are not feeling hungry. Many of those who dismiss the superiority of charcoal grilled bites perhaps never observed this rule. However, when done right, it can be a great experience since the flavour beats all when grilled on charcoal. Find a charcoal chimney starter – the larger, the better. Firstly, it will save you the hassle of buying lighter fluid, which virtually means that you will save time lighting the grill. 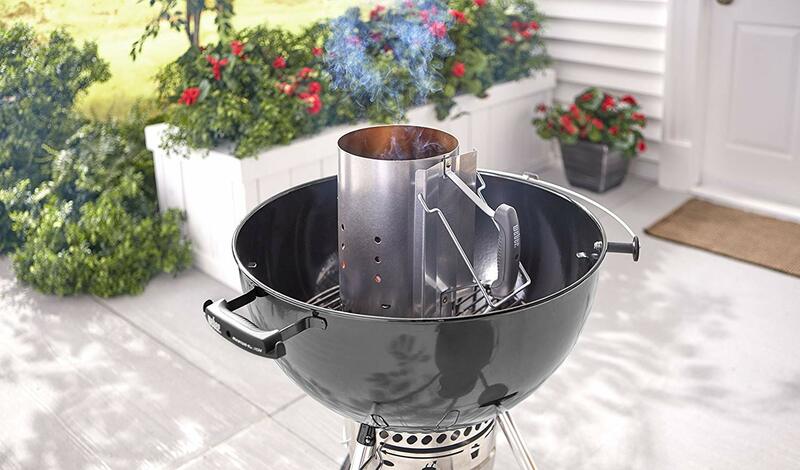 More substantial Charcoal Chimney Starters come with the benefit of accommodating more briquettes, and this translates to the grill getting hotter faster. Again, lighting using a charcoal chimney starter is a breeze – you just need a small wad of paper, and the coal quickly turns cherry red in the centre. At this point any type of charcoal will do, The chimney is designed to take care of all the needed work and will keep the grill hot for a long time. However, as time goes by and you start using your charcoal grill more often you’ll get accustomed to how much you’ll need. Don’t feel afraid to experiment with big chunks of wood too. Amongst those who use both charcoal and firewood, the glamour is how tasty the meat often turns out to be. Large chunks of wood like Hickory, Maple, and Mesquite have been documented as the best companions for charcoal grills and also bring the benefit of making the grill cook faster. Remember, while there’s no problem experimenting with the two fuel types, both can also ease the process of cooking independently. To increase the heat, just have the grill’s vents open. However, to gradually decrease the amount of heat on the surface, shut the vent. There are an extraordinary variety of barbecue grills that come with built-in thermostats to regulate the amount of heat automatically. Of course, they come at a cost. When the heat becomes too much to bear, apply some creativity.Simply by pouring water on the one side of the grill, perhaps a place where foods that don’t require extreme heat are being cooked. The main reason charcoal grills are greatly revered all across the world today is their distinctive smokey flavor and aroma that’s hard to replicate. But it is important for you, the chef, to know that careful grilling inherently result in the flavorful taste. As you grill and the fats begin to drip off the meat with a lovely tsss sound, the super-hot coal burst into flames. The flames cook the steak, making them a bit smokey, dry and delicious. So, it will be upon you to monitor the fire and how the meat is being cooked. Do remember that as the fat drips and the flames burn the meat portions, more flavors builds. 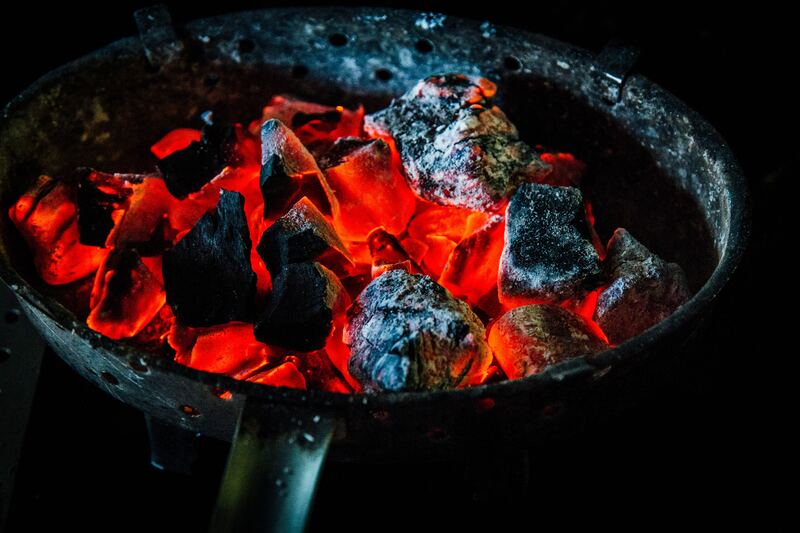 With the BBQ grill clean and ready, pour the coal on one side before adding a few wood chunks on top for quicker and longer burning. 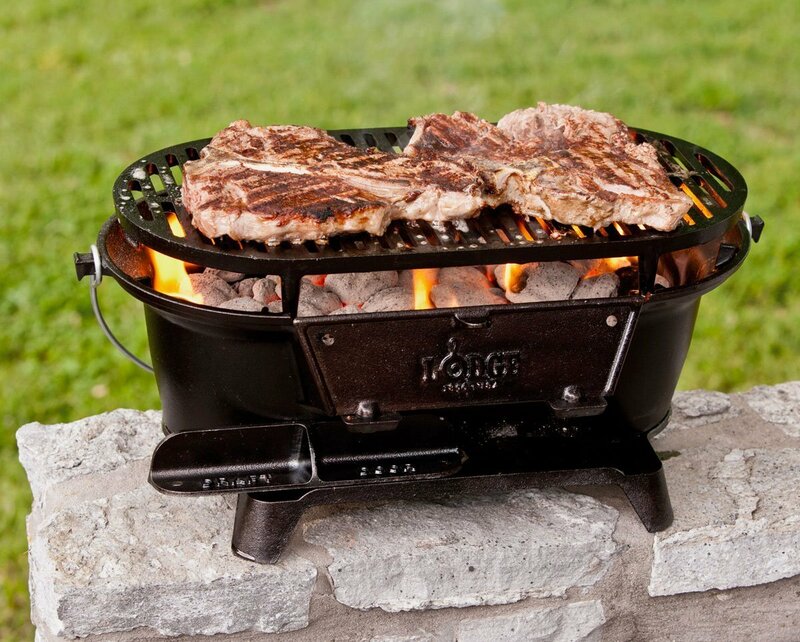 Perfectly place the grate on its position and make sure that the vents are open and the Barbecue pit’s lid is shut. You should be able to observe the grates heat up and the temperature is rising. A temperature of 200-250F should be about enough to start adding food, although doing so for the indirect heat would be reasonable. Now close the lid and keep the vents half-open. You should keep a close eye on the food so that it ripens well. If the pit cools off, just add a few more wood and let the cooking continue. Remember, basting too early can be detrimental in creating the flavor. Overcooking the sauce too makes the meat taste bitter. So, just baste when the grilled pieces of meat are almost ready so that the flavor is retained. Would you love to marinate your near-ready delicacy? Marinating is a cheap way of enhancing the taste of your meat. There is no other perfect way of doing it, but as long as your technique is sure to give the food a mouthwatering taste then try it. A well-grilled steak should be delicious, even when you don’t marinate it. However, if you must do it, then make sure that you dip the meat lightly. At this point, do bear in mind that hot dogs are a special breed and their preparation is quite different from this. Basically, heating is done indirectly and on the furthest side of the grill. The entire process may take five or more minutes, and the delicacy is ready. Do not spread the coals on the grill unless they are completely gray. Disturbing the balls will inevitably result in premature and inconsistent heating which affects flavor build-up. If you fail to preheat the grates, meat pieces will stick on the surface. That is why grilling should only start right after attaining the right temperature. 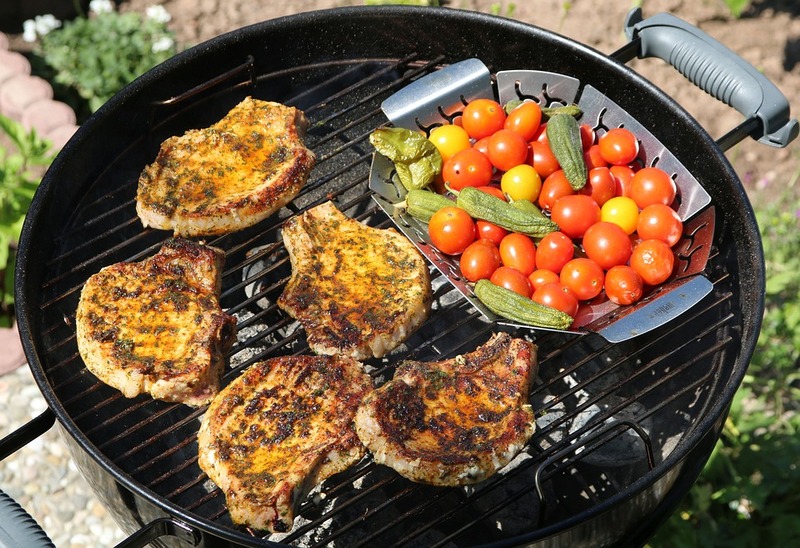 Always use a clean charcoal grill and more so a well-scrubbed grate. Avoid constant opening of the lid as it hurts the methodical cooking process. Again, unnecessary opening results in inconsistent temperatures, flares and can give the dish a bad taste. Don’t grill too many different foods at once. Normally, ribs and steaks require high temperatures and take longer periods to cook. Hot dogs, burgers and soft meat need as little as five minutes to be ready. But when you cook all of them at once, cross-flavor contamination will give your delicacy a foul taste. You can never attempt to cook your favorite dish without having a meat thermometer. It is the biggest crime in grilling ! Don’t use lighter fluid yet there is a far much better and hassle-free alternative called a chimney. Do not slice the meat while it is freshly hot from the grill. Let it rest off the grill for one or two minutes before cutting it into smaller chunks. By so doing, no juice will be lost and, of course will taste much better. Use your favorite sauce/toppings when you know that everyone is comfortable with. Never smoke foods that had been smoked in the first place. Re-smoking any “naturally smoked” meats ruin the flavor. Charcoal grills can only be supreme when they are handled well. If you would like to treat your inner circle of friends this summer, just have all these information at the back of your head. Remember; light the grill and when the coal balls are grey-hot, start cooking. Observe all these, and you will enjoy your delicacy!